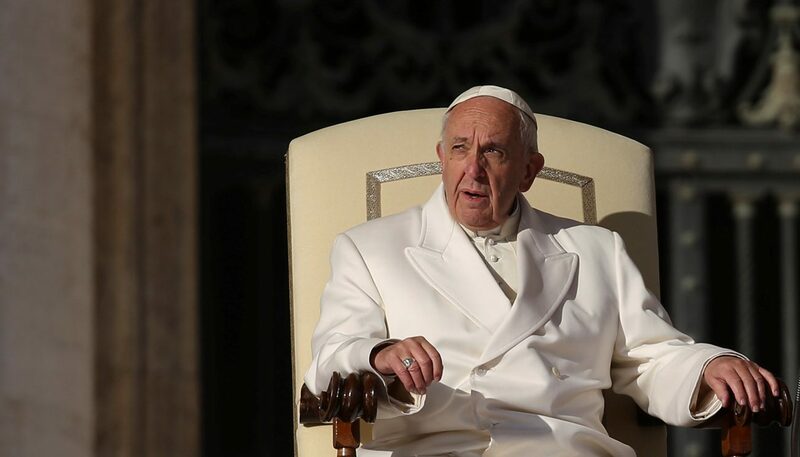 VATICAN CITY (CNS) — Pope Francis said he told the bishops and priests of Chile to be uncompromising when it comes to protecting minors from sexual abuse and to trust that God will purify and renew his church during this time of trial. Problems and conflicts must never be swept under the rug, he also said, because they can be resolved only through openness and dialogue. At his weekly general audience Jan. 24 in St. Peter’s Square, the pope told an estimated 15,000 pilgrims and visitors about his Jan. 15-21 visit to Chile and Peru. Thanking leaders, organizers and volunteers for all their hard work and generosity in contributing to a trip where “everything went well,” the pope also recognized the presence of protesters. The protests made the theme of his visit to Chile, “I Give You My Peace,” even more relevant and timely, he said, as these words Jesus spoke to his disciples explain how he is the one and only source of peace for those who trust in him. Some of the more “intense” moments of the trip, he said, were meetings with Chile’s priests, religious and bishops. Those encounters were made “even more fruitful by the shared suffering over some of the wounds that afflict the church” there, he said. The pope had earlier asked forgiveness from those who were sexually abused by priests, but stood firm with his decision in 2015 to give a diocese to Bishop Juan Barros, who was accused of turning a blind eye to the abuse perpetrated by Father Fernando Karadima, his former mentor. After detailing other highlights of the trip, he emphasized the importance of never ignoring or hiding problems or conflicts because handling them that way only makes things worse. “Conflicts that come to light are talked about, are resolved through dialogue. Think about the small conflicts that you certainly have at home. Don’t hide them,” he said, instead, find the right moment to talk things through. He also mentioned how he told leaders in Peru to do all they could to address the social and environmental challenges there as well as the problem of corruption. Looking up from his text at those in St. Peter’s Square, the pope said, “I don’t know if you here have ever heard talk about corruption?” As people applauded, he acknowledged how corruption exists “here, too,” not just in other countries. Corruption, he said, “is more dangerous than the flu.” It lodges itself in the heart, destroying it, he said, as he urged everyone to fight this problem.